The University of California at Davis College of Engineering recently celebrated a quartet of stellar engineers “breaking new ground in areas as diverse as using medical imaging for gene delivery to designing platforms for data collection,” on National Women in Engineering Day, June 23. 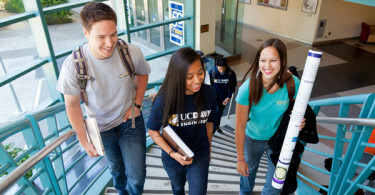 The UC Davis’ bachelor’s and master’s engineering programs are about 30 percent women and the doctoral program about 25 percent women. The university ranks third in the nation among the top 50 engineering schools for percentage of women faculty. Check out what these women from diverse backgrounds said about their work, lives, and the advice they have for female STEM students. An interest in direct patient health, and a traumatic personal event, led Katherine Whittaker Ferrara, a distinguished professor of biomedical engineering, to her field. Chen-Nee Chuah, a professor of electrical and computer engineering, has an older brother and sister who are engineers.Her interests are communication networks and wireless/mobile computing. 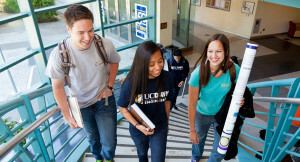 Cindy Rubio Gonzalez, an assistant professor of computer science, almost studied industrial instead of computer engineering as an undergraduate in Mexico. In 2015, Jennifer Sinclair Curtis became the first woman Dean of the College of Engineering at the University of California at Davis. In high school, Curtis knew nothing about engineering, or any engineers, when her high school counselor suggested discipline would be a good fit for her.